While Beethoven and Chopin tend to grab all the headlines in their beyond the grave careers, there are several composers whose works are worth a listen. 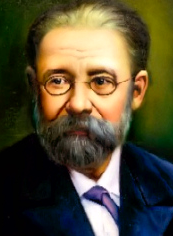 Among them is Bedřich Smetana, a Czech composer, who is considered by many to be the father of music in his homeland. Two of his best known pieces are the G minor Sonata of 1846 and the E flat Polka of the same year. And today you can hear some of Smetana’s works at a concert at the Seagle Music Colony. The concert is the culmination of a two day amateur chamber music camp, sponsored by the Lake George Chamber Orchestra. The performances – also featuring Beethoven and Chopin -- will be given by three of camp's professional instructors. Tickets are $15. 2 pm. Seagle Music Colony. 518 532-7875.